Abu Dhabi: Sixteen-year-old Rashed Salem Mohammad Al Faresi won the Emirates Heritage Club Cup 100-km endurance ride for juniors to give Al Reef Stables the perfect start to the new season. Al Reef, who emerged the leading stable last season along with leading trainer Yousuf Ahmad Al Bloushi combined in Rashed Salem's success as the young rider chalked out his first career win after learning the hard way last season. Rashed Salem rode Glenleigh Saphire to victory in the four-stage 100km event and it was on the same horse that he had finished third last season but failed to clear the final vet check. After 26 started in the season's first competitive event, Rashed Salem in fact finished second, almost six minutes behind Sultan Ahmad Al Bloushi. But the latter seemed to have pushed his horse Elphyn Shuvara a little bit too hard and it failed the final vet check. But Rashed Salem's horse cleared the vet check and finally the fact that he paced his horse well seemed to have got him the desired success. Both Sultan and Rashed had been battling as leaders over the first three stages of 30km, 30kms and 24kms. Going into the final stage it was Rashed who started off first, followed by another Al Reef rider Naser Khamis Ali Saeed with Sultan Ahmad about five minutes behind the leader in third place. Sultan, however picked up pace and finished ahead of the Al Reef duo but the effort seemed to take its toll on the horse's condition. Naser Khamis Ali Saeed on Talisman Tobis finished second to make it a 1-2 finish for Al Reef while Britain's Kimberley Dean finished third. "Last season I was disqualified after finishing third on the same horse so I was a little more careful on the final loop," said Rashed Salem. "The weather was good in the morning but during the final loop it was a bit testing. But my horse stayed in good shape," said the first-time winner. Trainer Yousuf Ahmad Al Bloushi said he was thrilled to start with a win. "We had a good season and I hope to do well again this season," said the man who looks after the Al Ain operations of Al Reef. "I have about 40 horses and some of them should go on to do well," said Yousuf. In the 44-km Federation Qualifier, 32 riders including Shaikh Zayed Bin Sultan Bin Khalifa Al Nahyan qualified while in the 80-km event, 14 riders met the qualification parameters laid down by the Federation. SHAIKH Nasser bin Hamad Al Khalifa was crowned champion of the 100-km Season Opening Endurance Horseride Championship, organised by the Bahrain Royal Equestrian and Endurance Federation (Breef) at the Bahrain International Endurance Village in Sakhir. Rising rider Abdulla Al Khatri won the junior division title which was also over 100 kms after some stiff competition from top entrants from Bahrain and the GCC. Both the senior and junior races were divided into four stages with 30 kms each for the first two stages. The third stage was over 25 kms while the fourth and final sector consisted of 15 kms. Abu Dhabi: The Emirates Heritage Club Cup for Juniors will kick start the UAE's competitive endurance season here today at the Bouthib Endurance Village in Al Khatem, Abu Dhabi. Though a couple of Qualifier rides and a Ladies ride have already been held by the UAE Equestrian and Racing Federation, today's 100-km event is the first of the FEI rides with a CEI Two Star rating. Two Qualifier rides, one over 80 kms and the other over 44kms, will also be run today. All three rides are jointly organised by the UAE Equestrian and Racing Federation and the Emirates Heritage Club. Over 30 youngsters have already confirmed their participation in the 100-km, CEI Two-Star ride, which will get off to a mass start at 5.30am. The ride will be run in four loops of 30, 30, 24 and 16 km respectively. Among those in the fray are Shaikh Abdullah Bin Faisal Al Qasimi, Shaikh Abdul Aziz Bin Faisal Al Qasimi, Shaikh Saeed Bin Maktoum Bin Khalifa Al Maktoum, Shaikh Majid Bin Saud Al Mulla, Layla Abdul Aziz Al Redha, Mansour Suhail Al Kuwaiti, Saeed Almur Saeed Bin Helweh, Hussain Ali Mohammad Yousuf Marzouqi. Several other riders to take part in the ride are Ahmad Salem Ali Sultan Al Subaisi, Omair Hussain Abdullah Al Bloushi, Ahmad Ali Abdullah Jamoh Al Yahyaei, Mohammad Khamis Al Wali Al Naqbi, Sultan Ahmad Al Bloushi, Dahi Abdullah Khamis Al Dahi. The Qualifier rides, which are held at regular intervals by the Federation, help in the horses and riders qualifying themselves for rides of longer distances and tougher parameters. All the three rides are held under the patronage of Shaikh Sultan Bin Zayed Al Nahyan, Deputy Prime Minister and Chairman of the Emirates Heritage Club. Apart from this endurance venue, competitive rides will also be held at the Emirates International Endurance Village in Al Wathba and the Dubai Endurance City in Seih Assalam. His Highness Shaikh Mohammad Bin Rashid Al Maktoum, Vice-President and Prime Minister of the UAE and Ruler of Dubai, and Al Reef Stables will once again aim to dominate the domestic endurance season, which starts Saturday. Shaikh Mohammad emerged as the top owner with a total of 5,840 points during the 2005-06 season, while Al Reef Stables, which sent out most of the winners, emerged as the leading endurance stable. Ro Fabiola of Al Wathba Stables garnered the maximum points to finish as the top horse of last season while the top rider was Marzooq Salem Al Merri with 999 points. Yousuf Ahmad Al Bloushi had a great season when he emerged as the top individual trainer representing Al Reef Stables while also finishing second in the rider's category. Today's opening ride and two other qualifier rides are being held at Bouthib Endurance Stables and the season will soon enter the big stage when some of the top riders from all over the world come here to compete. The UAE has over the last few years been a major training ground for some of the top riders who prepare for both their own national as well as continental and world championships. SEVENTY-FOUR riders from Bahrain and the GCC are set for the Season Opening Endurance Horseride Championship scheduled for today at 4.30pm at the Bahrain International Endurance Village in Sakhir. Bahrain Royal Equestrian and Endurance Federation president and event patron Shaikh Nasser bin Hamad Al Khalifa will lead 43 riders in the senior race which will be over 100-km. The race will be divided into four stages with 30-km each for the first two stages. The third stage is over 25-km, while 15km is set for the final stage. There will be another race for juniors which is over 100km with 18 riders in the fray. There will also be two warm-up races over 60km and 85km. The warm up races will be organised to qualify young and adult riders who are new to this sport. MORE than 100 riders, their family and spectators gathered at Green Valley farm recently for the final endurance ride event of the year. This was the fourth year at this ride base and once again it proved popular. On the Saturday afternoon 11 horse and rider combinations set off on the 10km social ride. Bob Watters, Rosie Long, Stacey Walls, Jack Fryer, Sarah Dickens, and Stephanie Kramer were local riders who enjoyed the scenic track through private property. It was a successful event with 100 per cent of the riders passing the final veterinary check, and being awarded certificates of completion at presentation. A large field of horses and riders started out in the dark the following morning armed with torches for the first 50km leg of the endurance ride. The training riders followed just after daybreak. The weather was perfect with a chill in the air and overcast skies prevailing throughout much of the day. The track went through joining private properties and Mt Toppa State Forest. The track covered varied terrain with some hills to climb, creeks to cross and flat country to canter over. Riders seemed to enjoy the ride through the local countryside, appreciating the well-marked and slashed track. There was an 89 per cent completion rate in the 40km training ride. The only local rider was Suzanne McLachlan, who successfully rode a dark bay pony gelding known as Pipin. Young Simon Blackly from Uralla, riding Steel The Thunder, was awarded the training ride encouragement award donated by Campbell Brothers Inverell. The riders did a fantastic job looking after their horses, with an 81 per cent completion score in the 80km endurance ride an improvement on last year). For the fourth year not one horse required invasive treatment. It was a thrilling end to the 80km endurance ride with four riders galloping into base, all aiming to be the winner. Wayne McKinnon, crossed the finish line by a nose, only to collapse and fall from his horse onto the ground. His body had cramped up from the strain of the ride. His time of 4hr 18min was a record. Wayne was presented with the perpetual Winners Cup at presentation. Other results ? first middleweight rider: Wayne McKinnon (riding Dunbar Lexus). Best conditioned middleweight horse award: Tami Parnell (Genet Zac). First heavyweight rider: Selwyn Nix (Dunbar Mahadik). Best conditioned heavyweight horse award: John Davidson (Heatherbrook Knight Rider). First junior rider: Breonie McLennon (Desert Sand). First lightweight rider: Terri Anderson (Ashwind). Best conditioned lightweight horse award: Angela Hawks (Sikis Keeper). 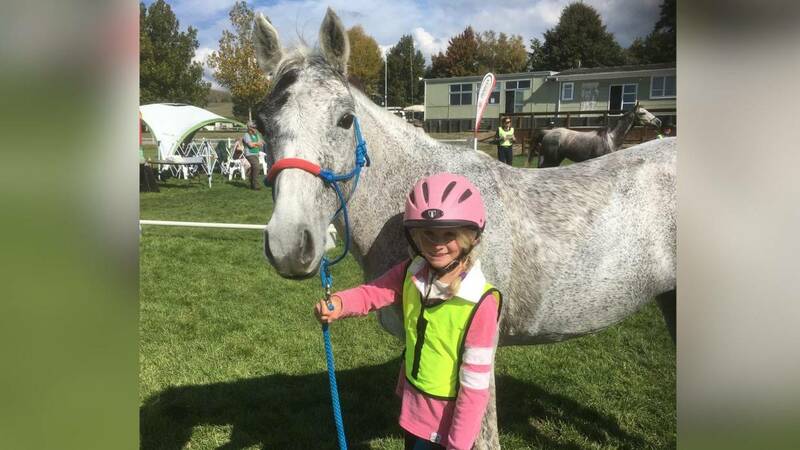 Special mention to young Stacey Walls, of Inverell, who completed her first 80km endurance ride. Helena South, also from Inverell, started the ride, but, unfortunately, her mare vetted out as lame during the ride. Each best conditioned horse received a horse rug sponsored by the New England Credit Union, while the first three placegetters in each division were presented with towels sponsored by Harris Seeds, Inverell. Best managed novice horse in the 80km endurance ride was Shardell Shahbarnah, ridden by an international rider from Japan, Sachiko Murai. The horse's owner was pleased to receive the bags of horse feed donated by Gilgai Rural Supplies. Helen South won the Baker's Barn local rider draw, while Jenny Annetts was runner-up for the bag of feed donated by Landmark, Inverell. Terri Anderson's Arabian mare won a free service to the stallion River Oak Fame, owned by John and Sue Bell, of Coolatai. The KFC Family Feasts volunteer vouchers were handed to Stacy Whiteman and Nicholas McGrath. The State of Origin teams event proved to be popular this year. The Girls and Gavin team of four riders were successful in being awarded the perpetual clock trophy. Jenny Annetts, Tami Parnell, Sasha Laws King and Gavin Groth teamed up to achieve a winning average ride time of 4hr 41min. The After Thoughts were runners-up. Helen South, Pip Lillyman, Dean Chamberlain and Alan Standfield received a family feast voucher from KFC, Inverell.